Your feedback helps us improve our program and services offered, so please answer honestly. * 1. Please indicate the level of assistance you received in each area. Yes Somewhat No N/A ? My advocate listened to my concerns about my situation. My advocate listened to my concerns about my situation. ? My advocate helped me figure out where I might receive the services I need. (Referral) ? Project SAFE personnel were supportive and informative. 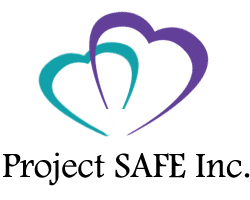 Project SAFE personnel were supportive and informative. ? My Advocate helped me figure out how to be safer. My Advocate helped me figure out how to be safer. ? I have more information regarding why/how domestic violence happens. I have more information regarding why/how domestic violence happens. ? I received assistance with a protection order. I received assistance with a protection order. ? I received assistance preparing to give court testimony. I received assistance preparing to give court testimony. ? I am aware of my rights as a victim of crime. I am aware of my rights as a victim of crime. ? I am aware that I may be eligible for victim compensation or restitution. I am aware that I may be eligible for victim compensation or restitution. ? I received assistance filling out victim compensation paperwork. I received assistance filling out victim compensation paperwork. ? My advocate explained the next step in the court process for me. My advocate explained the next step in the court process for me. ? I understand I have the right to submit a victim impact statement. I understand I have the right to submit a victim impact statement. ? I know more ways to plan for my safety. I know more about community resources. I know more about my rights and options. I am more hopeful about the future. I am more comfortable asking for assistance. I am more confident in my decision making. I feel empowered to accomplish the goals I have set for myself. Staff was caring and supportive. We spent sufficient time discussing my safety. My religious/spiritual beliefs were respected. My sexual orientation was respected. My racial/ethnic background was respected. Any special needs related to disability were addressed. Any special needs related to my age were addressed. * 5. Based on your experience, would you recommend Project SAFE to friends/family in need of similar assistance? * 7. Do you have any comments, questions or concerns regarding your experience with our Program or Staff? * 8. Thank you for taking time to complete our survey! If you would like to be contacted regarding your survey, please leave your information.